The tailored design, using wearability resistant high stretch fabric along with the pleats on the back ensure a perfect fit for the rider. 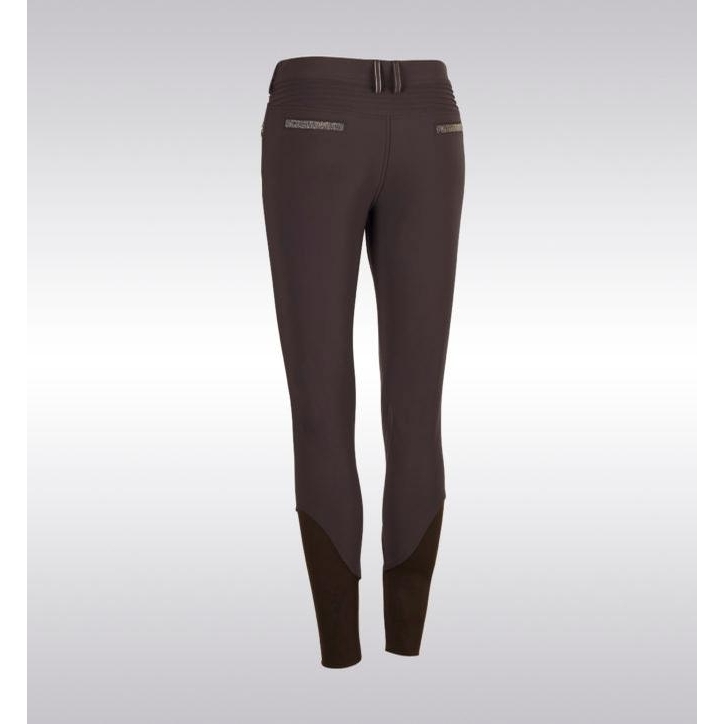 The Adele breeches offer a second skin effect for optimal comfort. The elasticated fabric guarantees high breathability and wind protection. The silicone knee grip ensures stability and adherence in the saddle. 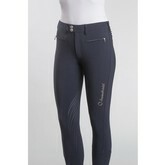 The compression fabric offers a perfect fit of the breeches. The elastic tape inside the belt is equipped with silicone which prevents the shirt from rising. 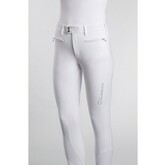 Thanks to the special construction of the fabric the Adele breeches offer protection against ultraviolet rays. 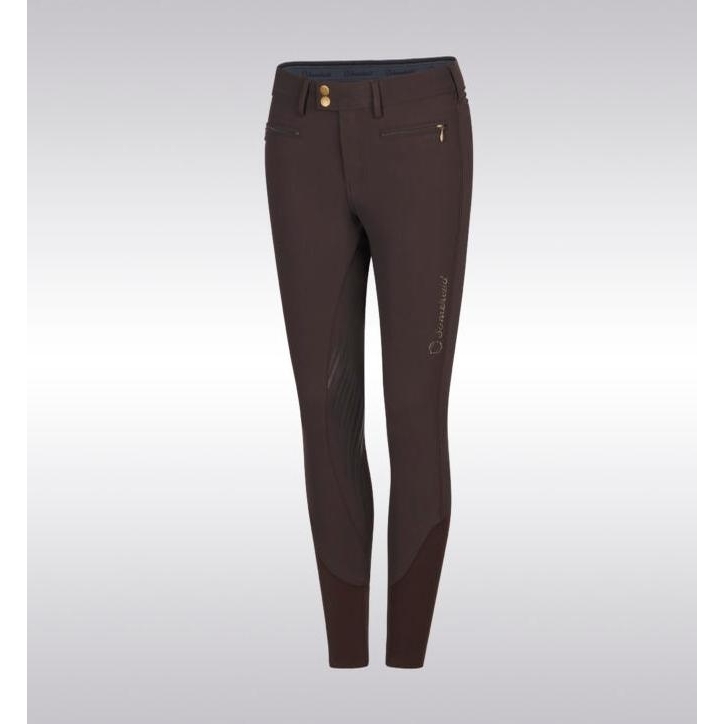 The breeches offer front slash zipper pockets & are embellished with a subtle Swarovski® Samshield logo on the rider’s thigh.